Jesper Garde Kongshaug, Lighting designer, works within the fields of theater, opera, ballet, tv & architecture. Jesper Kongshaug works locally as well as international. Download pdf 2014 CV in the "download cv etc." section. Lighting Design for the new Royal Playhouse has given Jesper Kongshaug The Danish Lightingprize 2008. Also winner of Nordic Lighting Prize, Helsinki, Nov. 2008 as well as numerous nominations and the Weber lighting prize. His stage productions include Mozart's Idomeneo in Wiener Staatsoper. Wagner: The Copenhagen Ring, Danish Royal Opera House. OPERATION: ORFEO, Hotel Proforma World Tour. Mozart: Nozze de Figaro, Theater an der Wien, Vienna, Austria. Wagner: Lohengrin, Novaya Opera, Moscow. Ligeti: Le Grand Macabre, San Francisco Opera. Mozart: The Magic Flute; Boston Lyric Opera, USA. Jesper Kongshaug was educated in the USA and has worked on numerous theatre performances, opera, ballet, art exhibitions and TV. 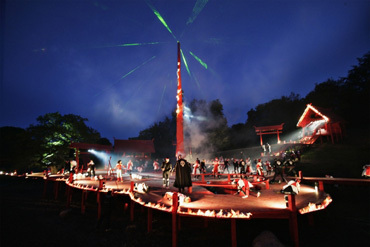 He has created unique lighting designs for The Royal Theatre in Copenhagen, most recently Wagner's Das Ring des Nibelungens and for Den jyske Opera, for Hotel Pro Forma and for theatres in Norway, Sweden and Germany. Jesper Kongshaug is appoined honorary professor at Kolding Designskole. He teaches at Danmarks Designskole (Danish School for Design) and the National Danish Theatre School and acts as consultant for museums and public institutions. Recently he gave a lecture at Stanford University, California, USA, on lighting as art in the public space. Jesper Kongshaug has created several high profile large-scale lighting artist installations both outdoors and indoors, including the 13 km long Vinterlys (Winterlight) during Copenhagen European Cultural Capital 1996. His international works include extensive travels with Hotel Pro Forma's "Operation ORFEO" from 1994, "The Magic Flute" in Boston Lyric Opera, USA, and the musical production of "Hair", a Betty Nansen Theatre production at The Theatre Mogador in Paris, "Rosenkavalier" at Opera de Lyon in France, "Le Grand Macabre" at San Francisco Opera, USA, In the US he also did a Jesper Just Opera for Performa 05 in NYC at Donna Karan Studio. In Sweden he did "L'Ecole des Femmes" in Dramaten, Stockholm, and in 2007 he went to Stockholms Opera and did lighting design for "La Traviata". In 2013 he did a new version of "Miss Saigon" in Malmoe Opera. In 2004 he did "GOYA" with Placido Domingo for Klangbogen Festival at "Theater an der Wien" in Vienna, where he returned in 2007 for "Le Nozze di Figaro". In 2014 he will do "Idomeneo" at Staatsoper in Vienna. "Lohengrin" - Deutche Oper, Berlin.